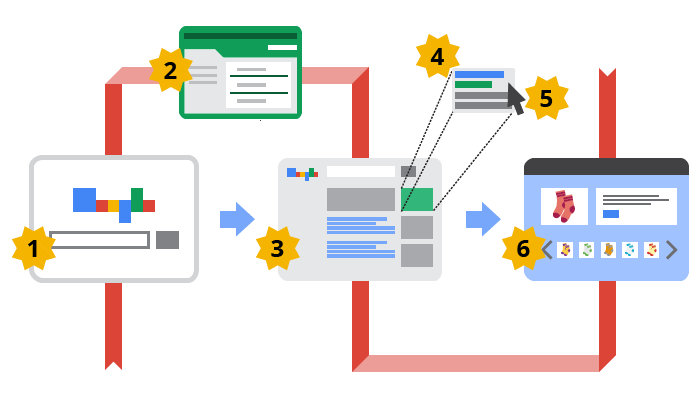 WHAT IS THE GOOGLE AD GRANT PROGRAM? Google Ad Grants is the nonprofit arm of Google Ads. 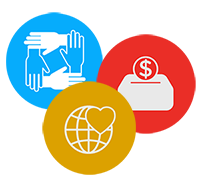 It funds nonprofit organizations with $10,000 of AdWords advertising per month to promote their missions and initiatives free on Google search result pages. Text-based ads appearing on Google search result pages. With Google Ads you get free exposure to relevant users. 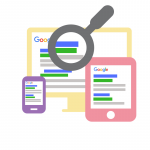 Promote your mission through Ads on search result pages. 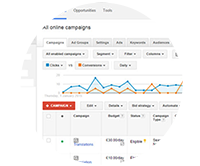 Google Ads Help you spread the word out about your events, fundraisers and initiatives for free through targeted ad campaigns! Drive relevant users to your website then convert those users to supporters and contributors! If your organization does meet the criteria, GREAT, the next thing you will need to do it go through the application process. The application process can be tedious, confusing and cumbersome, but our experienced Google Ad Grant experts have gone through this process many times and understand what it takes to get approval and achieve success with nonprofit advertising. Applying for and managing a successful Google Ad Grant account is complex and can be extremely time consuming, that’s why it’s important to have our Google Certified experts in your side. We specialize in helping out clients get approved. When you work with a team of experts like us we not only take care getting you approved for the grant, we make sure your Google Ad Grant status is maintained and compliant with all of the Google Ad Grant criteria. Did you know that the average nonprofit will only use about 3% of their $10,000 monthly budget? This means the average nonprofit is leaving $9,700 unused per month! With our team of certified experts we can help your nonprofit use the full $10,000 Google Ad Grant and allow you to devote your time to running your nonprofit organization. 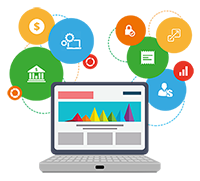 Our experts with thoroughly get to know your organization, your goals and your needs, then we will create a Google Ads campaign tailored to your needs. The ongoing end product of all our hard work is increased exposure for your organization, new volunteers and more donations. All of this without having to spend a dime on Ads!